Tech giant removes and then replaces references to its work with ICE amid national outcry over border detention centres. Following a national outcry over a new US policy separating immigrant children from their parents at the border, Microsoft removed and then replaced a reference to its work with the Immigration and Customs Enforcement department (ICE). 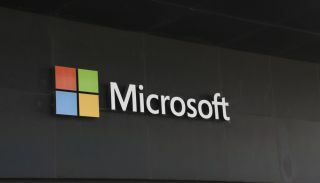 The company published a blog post back in January detailing its new contracts with ICE and the US Air Force in which it explained how government agencies are using Microsoft Azure to deal with “sensitive unclassified data” including identifying people using facial recognition. The Trump Administration's decision to separate children from their parents at the border drew widespread criticism online and this led to the discovery of Microsoft's post, sparking an online campaign against the company. One advocacy group even went so far as to say that Microsoft employees were complicit in the controversial policy. All references to ICE were then removed from the company's post which only served to further anger already outraged citizens. However, Microsoft quickly reversed the edit and put the references to its work with ICE back in the post. "An employee edited the blog after seeing commentary in social media. This was a mistake and as soon as it was noticed the blog was reverted to previous language." Microsoft's contract with ICE is just one of its many contracts with the US government. Other tech giants have similar contracts with the department but unfortunately for Microsoft, it chose to post about the arrangement online.